Theravada Buddhism has experienced a powerful and far-reaching revival in modern Nepal, especially among the Newar Buddhist laity, many of whom are reorganizing their lives according to its precepts, practices and ideals. This book documents these far-reaching social and personal transformations and links them to political, economic and cultural shifts associated with late modernity, and especially neoliberal globalization. Nepal has changed radically over the last century, particularly since the introduction of liberal democracy and an open-market economy in 1990. The rise of lay vipassana meditation has also dramatically impacted the Buddhist landscape. Drawing on recently revived understandings of ethics as embodied practices of self-formation, the author argues that the Theravada turn is best understood as an ethical movement that offers practitioners ways of engaging, and models for living in, a rapidly changing world. 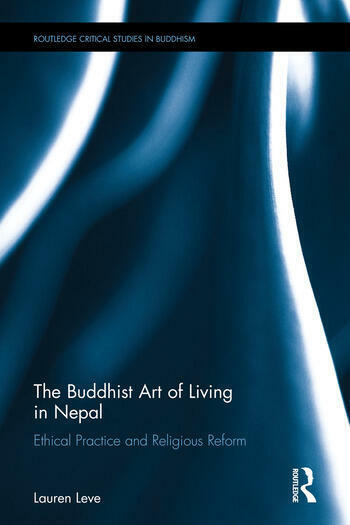 The book takes readers into the Buddhist reform from the perspectives of its diverse practitioners, detailing devotees' ritual and meditative practices, their often conflicted relations to Vajrayana Buddhism and Newar civil society, their struggles over identity in a formerly Hindu nation-state, and the political, cultural, institutional and moral reorientations that becoming a "pure Buddhist"—as Theravada devotees understand themselves—entails. Based on more than 20 years of anthropological fieldwork, this book is an important contribution to scholarly debates over modern Buddhism, ethical practices, and the anthropology of religion. It is of interest to students and scholars of Asian Religion, Anthropology, Buddhism and Philosophy. Chapter 3: The Revival of "Pure Buddhism"
Chapter 4: What Makes A Theravada Buddhist? Lauren Leve is an Associate Professor in the Department of Religious Studies at the University of North Carolina at Chapel Hill, USA.